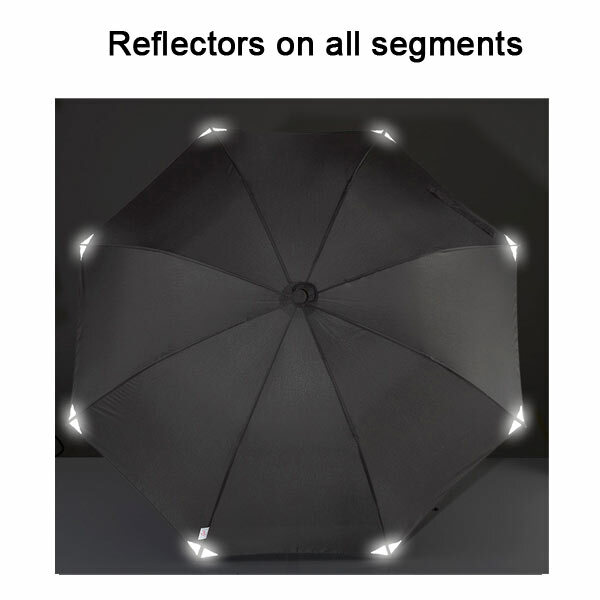 The first professional trekking umbrella with long lasting LED-torch is extremely durable and nearly unbreakable with only a minimum of metal parts and guarenteed high stability even in adverse operating conditions. 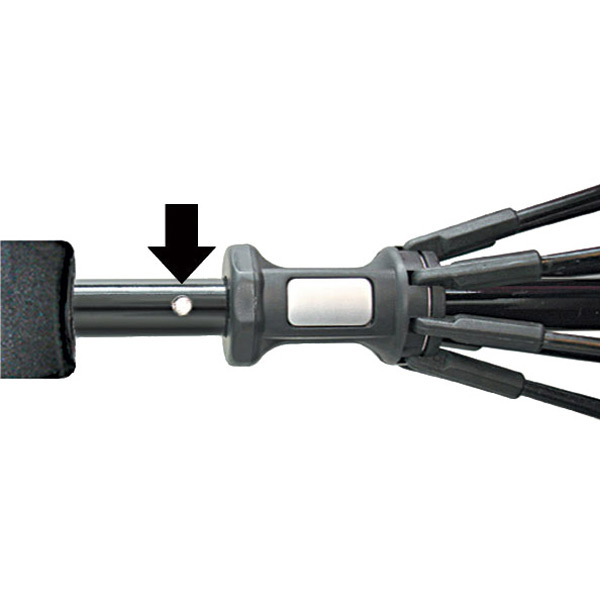 The pin-spring system with the easy-to-find safety runner ensures comfortable opening and closing without pinching fingers. 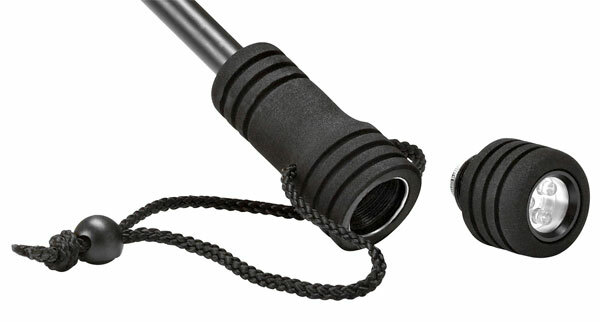 The comfortable high-density EVA hardfoam handle with well-balanced grooved profile and adjustable wrist loop ensures a safe grip. 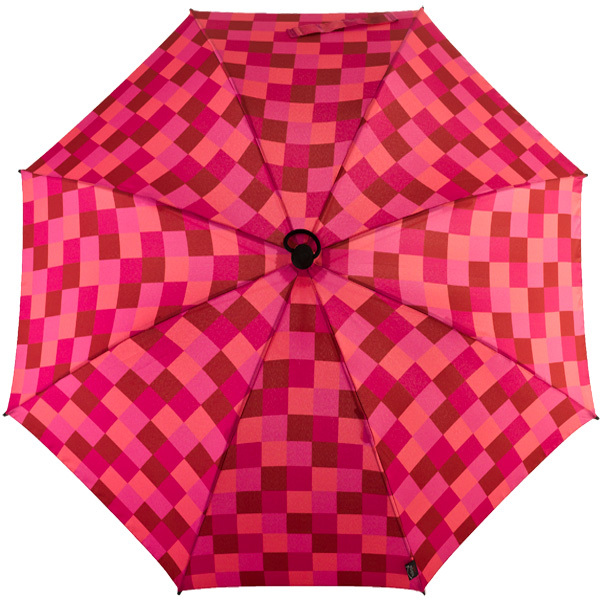 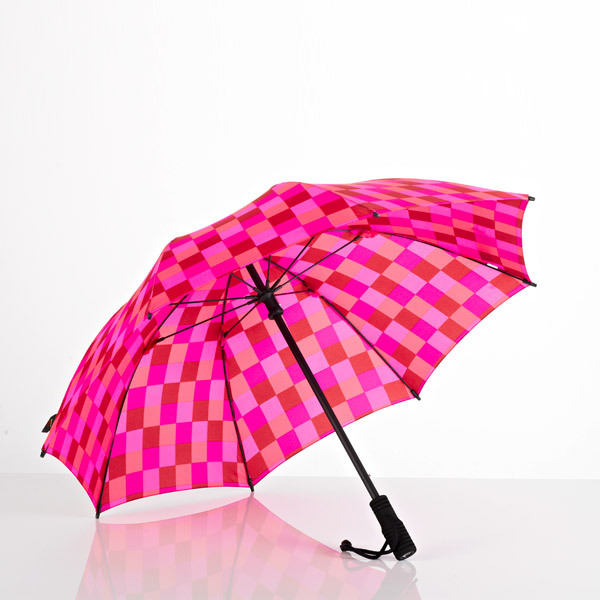 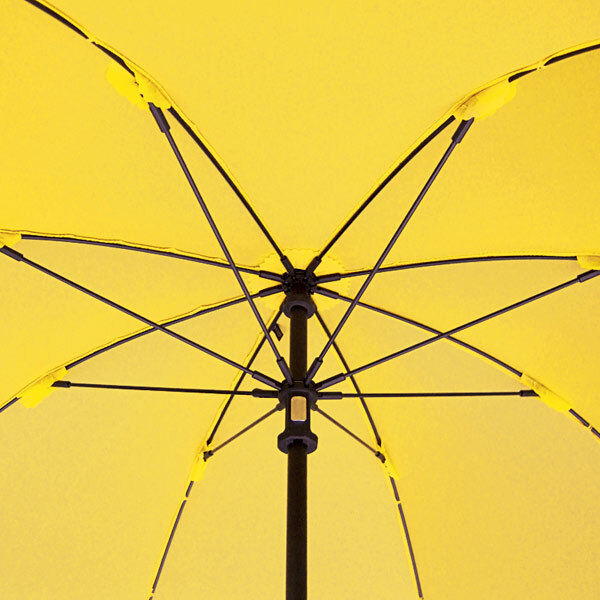 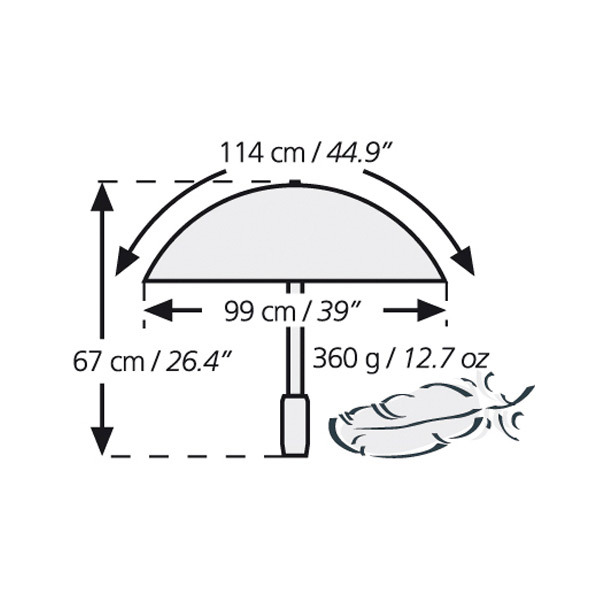 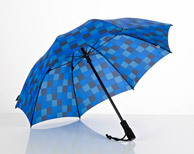 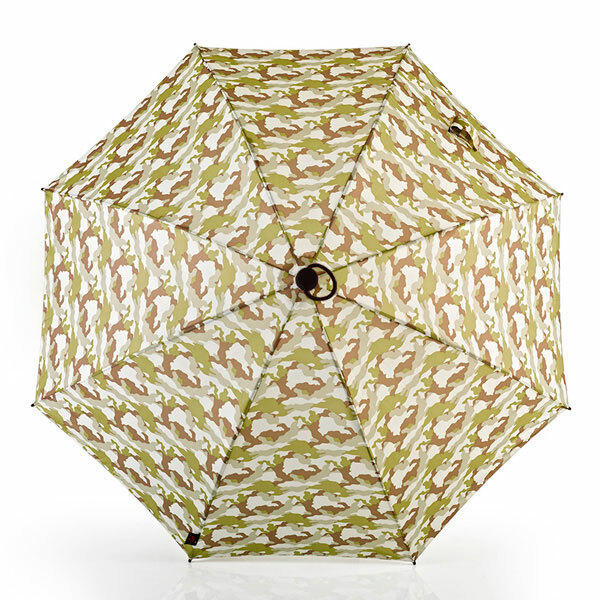 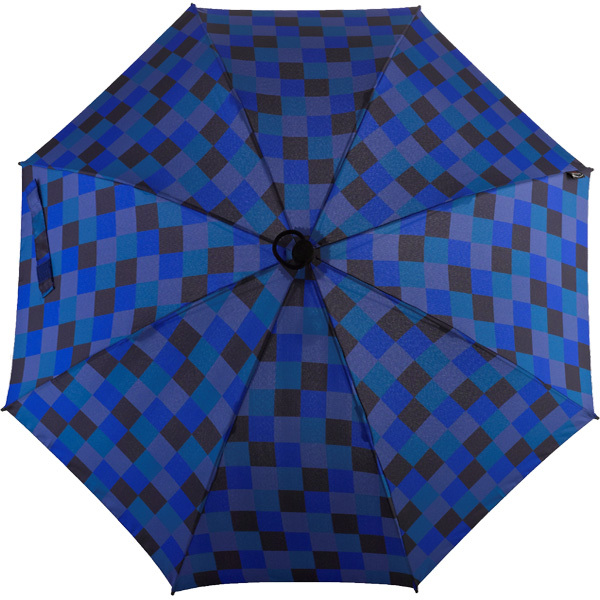 This umbrella is based on the same high quality level as well as the Swing. 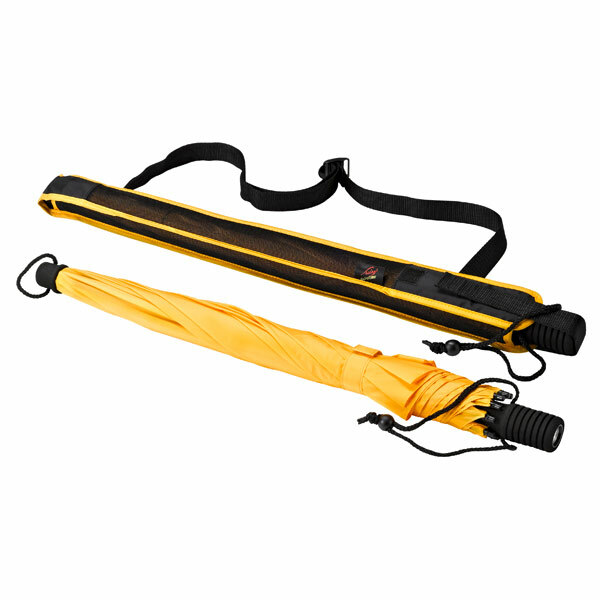 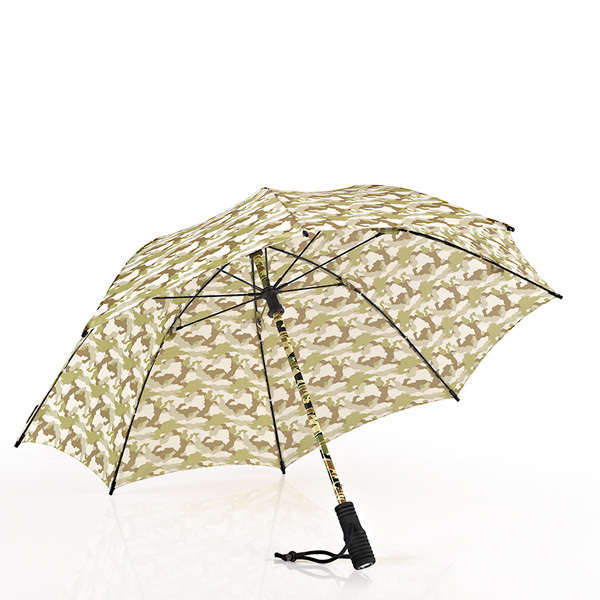 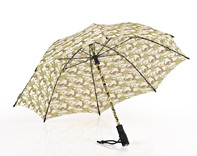 The umbrella can be stored in a practical foldable carrying sleeve case with non-slip fabric. 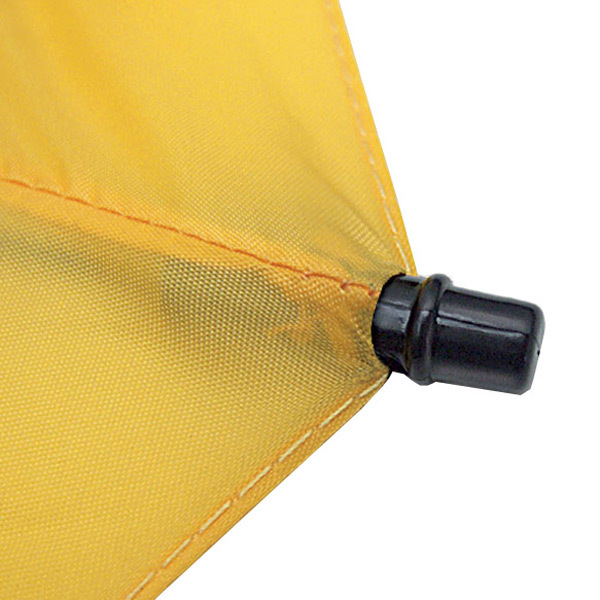 Double-stitched seams between the panels make the canopy very strong. 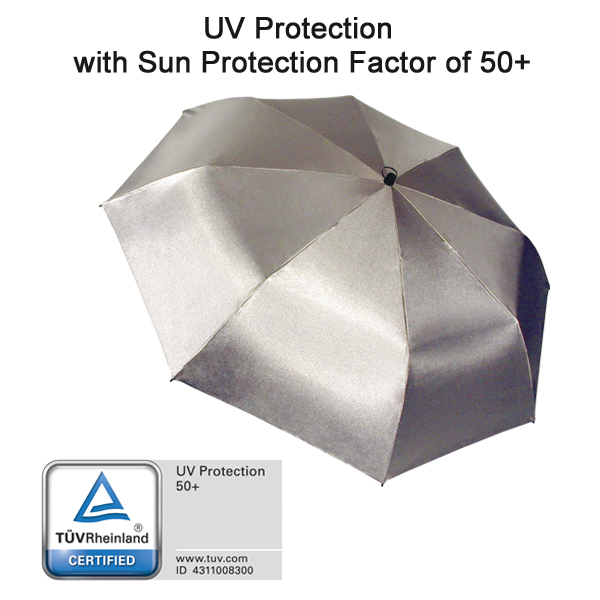 The patented safety tips with abrasion protection are 100% fixed. 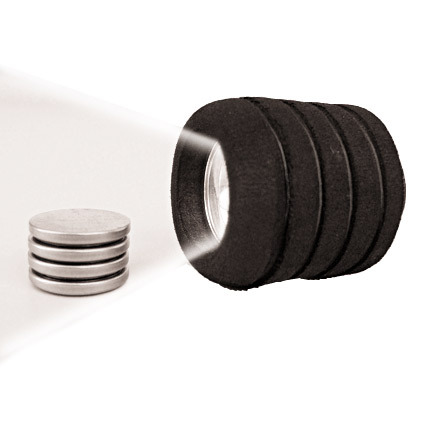 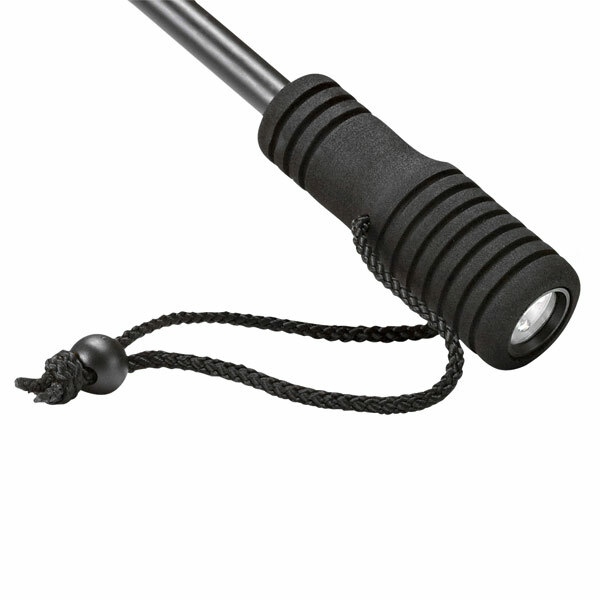 By unscrewing the handle the integrated lamp can be used as a torch. 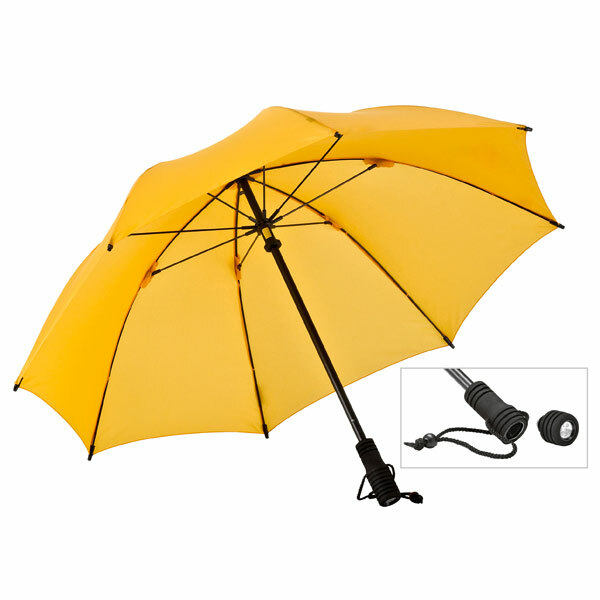 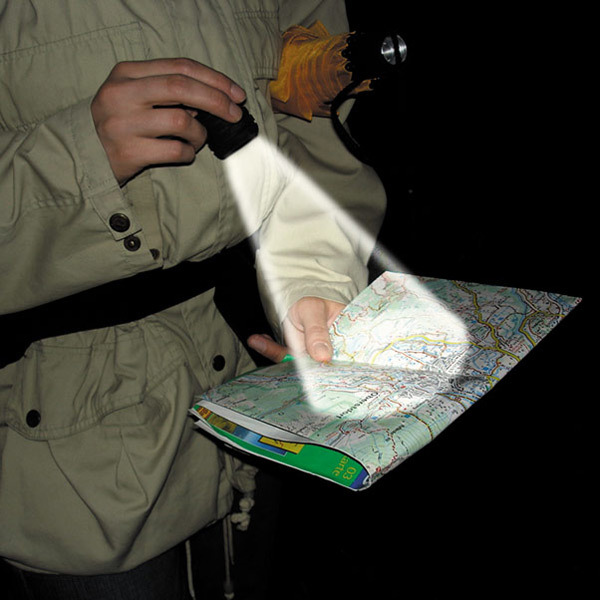 The first professional trekking umbrella with a long lasting LED-lamp.